I'm back with another post on Pixar's quarterly results from when they were an independent public company. In my previous posts I covered the first and second quarters of 1996. This post will cover the third quarter of 1996 (July - September). Film revenues from Toy Story more than doubled from about $5 million last quarter to over $11 million this quarter. Remember that Pixar did not receive revenue until Disney recovered all of their marketing and distribution expenses. So even though Toy Story had been in theaters for over 7 months, Pixar's revenue from the film was finally being received. And according to the 10Q report, Pixar made clear that this may be the peak of revenues for the next couple of years. The document stated the next large window of revenue would be the Toy Story home video release, which occurred in October, 1996. It would take Disney a quarter before transferring the revenue to Pixar, so Pixar wouldn't start receiving home video revenue until the first quarter of 1997. After the Toy Story home video release, the next large event would be the release of A Bug's Life which would not occur until the end of 1998, and Pixar wouldn't see revenues from that for at least a couple of quarters. Pixar clearly states in the 10Q that until then, revenues and earnings would likely decrease as compared to 1996. 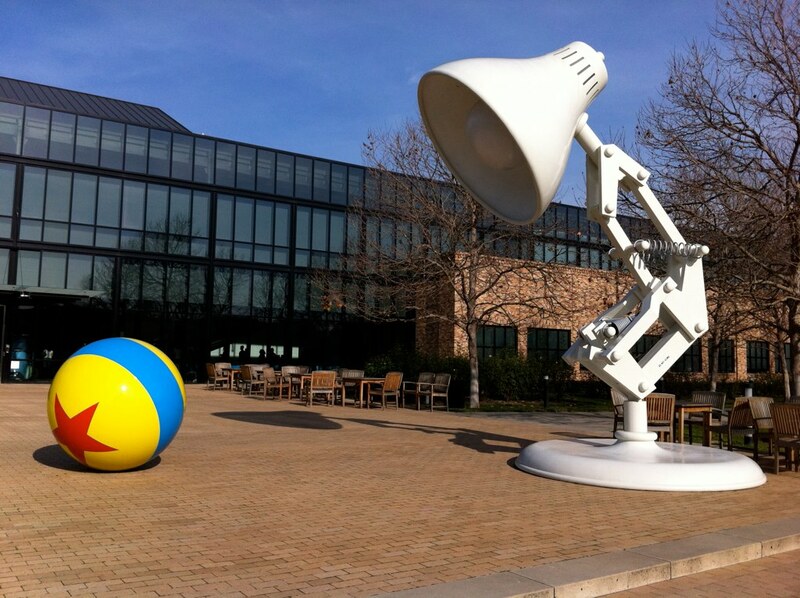 Besides film revenue, Pixar had revenue of $1 million from animation services, which consisted of short animation projects and television commercials. Animation service revenue increased 157% from the same period in 1995. Even with the large increase, Pixar had announced in July, 1996 that it would discontinue most of its commercial work after existing commitments had been fulfilled to focus on feature animation. It also stated that most of the 18 employees in the television commercial division had been moved to other projects. Software revenues of $949,000 came from RenderMan licensing and royalties from Pixar's first CD-ROM, Disney's Animated Storybook, Toy Story. Software revenue increased 34% from 1995, primarily due to CD-ROM royalties of $350,000. Patent licensing revenue was $700,000 for the quarter. Pixar had granted Silicon Graphics (SGI) a non-exclusive license to use certain Pixar patents pertaining to creating computer-generated photorealistic images. The agreement called for SGI to pay $6 million in cash to Pixar (which was paid in the first quarter of 1996), plus giving Pixar credits of $5 million to purchase SGI hardware and software over 4 years. The $700,000 in revenue for this quarter was part of the $5 million in purchase credits. Overall, total revenue for the quarter was $13.8 million compared to $1.1 million in the 3rd quarter of 1995, the majority being the Toy Story film revenue. I find it amazing how high Pixar's gross profit margins were. For the quarter they were 90%! This was due to margins of 92% for film revenue and 98% for software revenue, as there were no costs associated with the CD-ROM royalties. Also, there were no associated costs for patent licensing revenue. Animation service margins were only 16% due to higher costs from increased complexity in the animation projects Pixar had undertaken and increased market competition. I'm guessing the low margins had an impact on Pixar's decision to exit this market. Although margins were very high this quarter, Pixar anticipated operating expenses would significantly increase as it was having to pay higher salaries due to competition for animators, technical directors and other creative personnel. It was also funding higher levels of R&D and expanding administrative staff. Net income increased to $9.6 million for the quarter from a loss of $1.3 million in the previous year. The net profit margin was 69.5%. For the first 9 months of 1996, net income was $20.7 million and net profit margin was 69%. The great financial news was not doing anything for Pixar's stock, which sat in the teens throughout the quarter. Investors realized that revenues would decrease, and with no obvious sources of new revenue until the release of A Bug's Life, most decided to sit on the sidelines. According to their agreement with Disney, Disney paid for costs incurred in the development of the feature films. Even though A Bug's Life would not be released for another 2 years, Disney had already reimbursed Pixar $6.3 million and had another $1.3 million outstanding. Also, it can be seen that Pixar was looking towards the future, as in September, 1996, they paid a $150,000 refundable deposit on the purchase of land in Emeryville for their new headquarters, which would not be complete until late 2000.